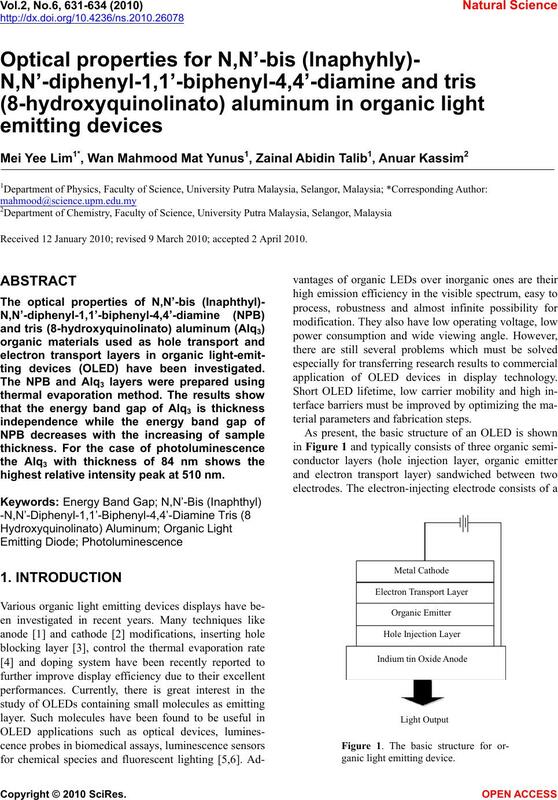 Received 12 January 2010; revised 9 March 2010; accepted 2 April 2010.
ting devices (OLED) have been investigated. highest relative intensity peak at 510 nm. application of OLED devices in display technology. terial parameters and fabrication steps. tted from the light-transmissive anode and substrate. mersed in ultrasonic baths with acetone for 10 minutes. range of 360 nm-800 nm to obtain the energy band gap. Figure 2. The optical absorption of Alq3 at various thickness. holes in the OLED structure . Figure 4. 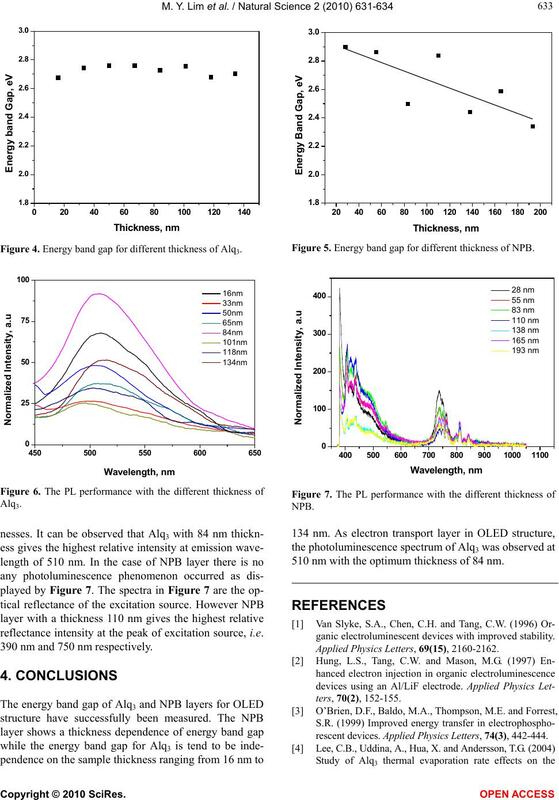 Energy band gap for different thickness of Alq3. Figure 5. 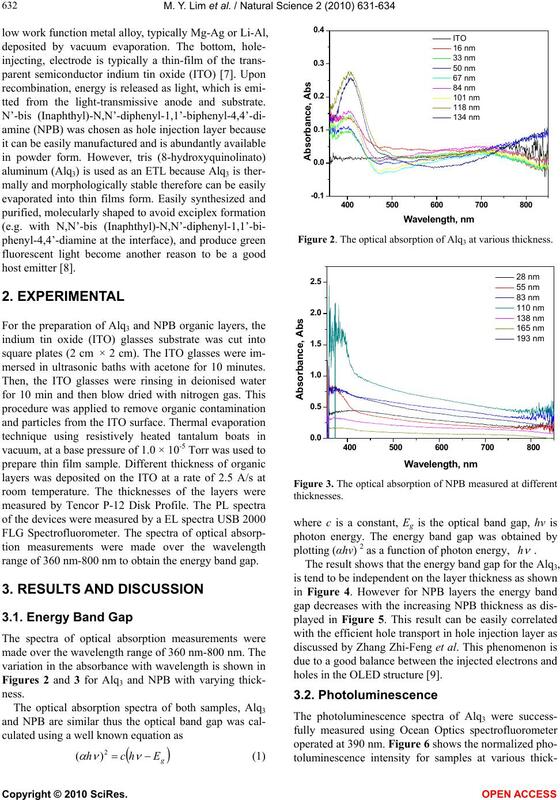 Energy band gap for different thickness of NPB. reflectance intensity at the peak of excitation source, i.e. 390 nm and 750 nm respectively. 510 nm with the optimum thickness of 84 nm. ganic electroluminescent devices with improved stability. Applied Physics Letters, 69(15), 2160-2162.
rescent devices. 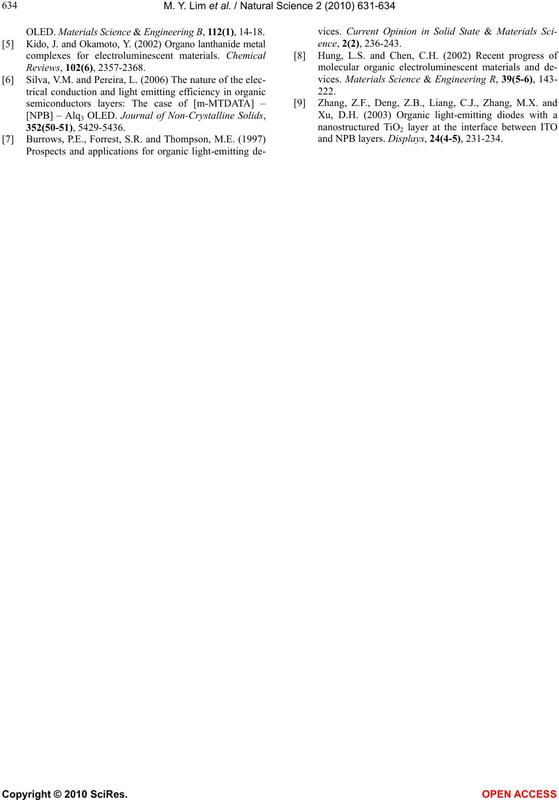 Applied Physics Letters, 74(3), 442-444. OLED. Materials Science & Engineering B, 112(1), 14-18.
and NPB layers. Displays, 24(4-5), 231-234.